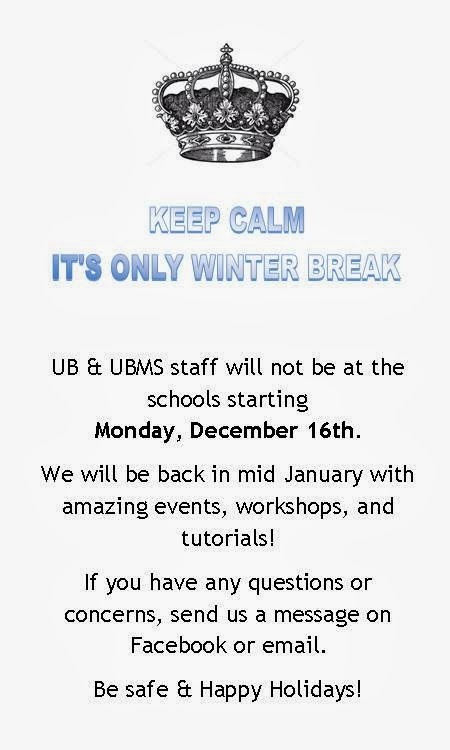 Our last UB & UBMS session for the fall is this Thursday, December 12th. We will return after winter break in mid January. Please be safe, study hard, and have a great holiday!